The series "Witchy Travel Tales" tells the story of a witch and her seven daughters. This book is the second in the series. One of the witch's daughters, Viva, is scared at night and struggles to fall asleep every night. Her mother, the witch, takes Viva on a trip to Stonehenge, to activate an ancient spell hat helps the little girl, fall asleep going forward. 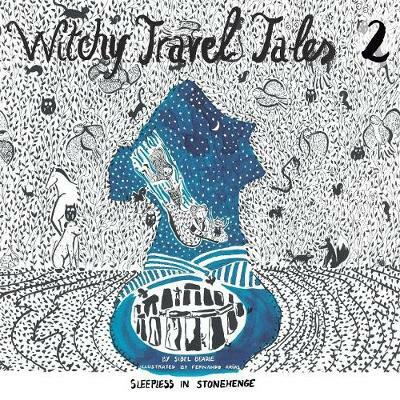 Sleepless in Stonehenge, is the second book in the Witchy Travel Tales Series by Sibel Beadle. The books each follow Witch Miranda and her seven daughters, whom we first met in book one, ‘The Seven Sisters’.